Could Therapy Dogs be the Answer for Colorado’s At-Risk Youth? 12-year old Ben* has rotated through four different therapists, each one failing to make a lasting connection or alter his life. Before giving up hope, Ben was introduced to Sully, a three-year old, German Shepherd mix and therapy dog who loves tug of war, long walks, and plenty of hugs. Instantly, a connection formed; Sully was able to offer Ben a stable, fun environment and something to look forward to each day. Instead of looking at the world in tatters, Ben sees the world through Sully. The unconditional love and passion that dogs exude are why 78 million pups live among 44 percent of households across the country; dogs give us energy, calm us down, and teach us invaluable life lessons. Their ability to love, unconditionally and without bound is one of the many life-enriching lessons that we can learn from dogs. Today, there are thousands of youth in Colorado who are neglected, mistreated, and troubled. These children stretch from the inner streets of Denver to the rural counties near Alamosa. Traditional talk-therapy sessions prove too rigid or threatening — they freeze, falling deeper into a forgotten void. They are judged resistant, or worse, helpless. These children and adolescents need inspiration, a feeling of self-worth, and something for which to care. Could something as simple and natural as a loving dog be the answer? When working with youth for whom traditional therapy is not successful, Animal-Assisted therapy can provide the solution. With our staff’s personal experience, and data to back it up, youth often benefit the most from a relationship with a furry friend—especially when their emotional support, health, and wellbeing is not fulfilled at home or school. Our most popular type of Animal-Assisted intervention, Pawsitive Connection, is a program that connects youth with dogs in various one-on-one or group sessions to help change their outlook on life. 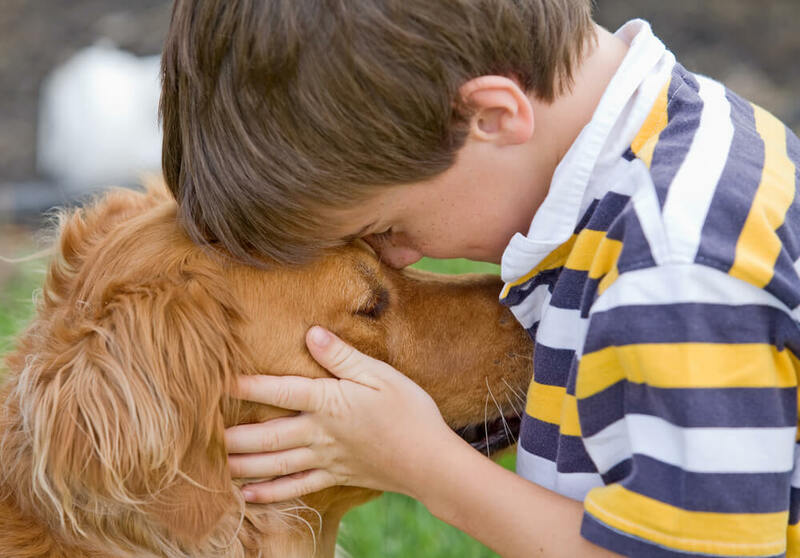 In these programs, children and adolescents train and connect with dogs, giving them a sense of responsibility, ownership, and pride. More than 2,400 youth from the Denver Metro area have completed a human-animal connection program through CBR YouthConnect since its foundation. The youth—age 7 to 18 years old—report an array of positive outcomes including the development of social-emotional skills, increased resilience, frustration tolerance, impulse control, enhanced non-verbal communication, empathy, improved hygiene, self-confidence, and a sense of responsibility. They have a renewed sense of self and inspiration for their futures. Over the past decade, the effectiveness of Pawsitive Connection has been studied by School of Social Work and Purdue University’s Dr. Gail Melson. Based on their research, youth in animal-assisted therapy programs gained positive social behavior, including bonding and attachment. These proven outcomes coupled with a general happiness when working with dogs could be the answer for Colorado’s at-risk youth. Please help expand the love and support a four-legged companion provides for Colorado’s at-risk children. View stories of real youth in Colorado, spread the word, become a CBR YouthConnect fan, and give today. *Name has been changed to protect youth’s identity.